When we chose our top six coastal destinations and left the Maldives out I knew many would be unhappy. The number of questions asking why have proved that to be right. So why did we leave the Maldives out? Well we decided that only one Indian Ocean island chain could be included. Maria (my wife) and I chose the Seychelles while my son couldn't decide - so the Seychelles it was. 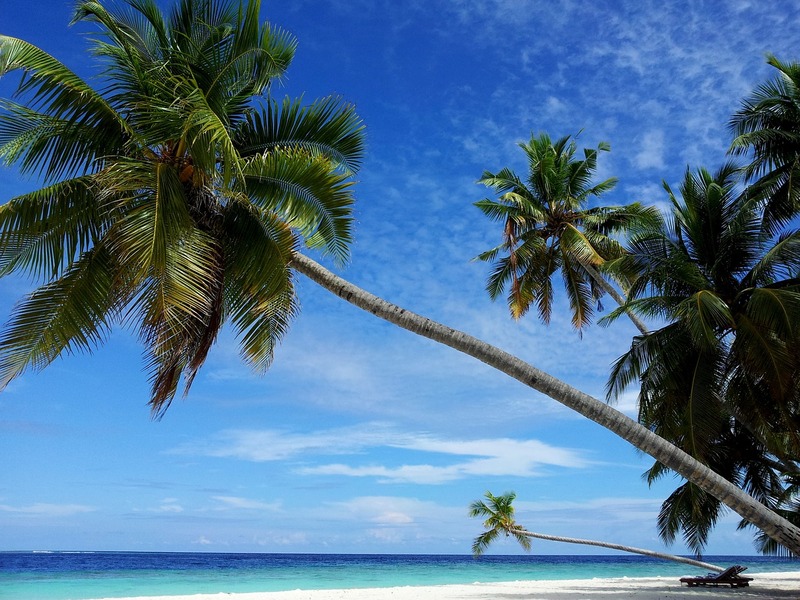 There can be no doubt that the Maldives is an exceptional archipelago; I truly believe the beaches, the translucent seas and wonderful reefs are an equal to the Seychelles. The Seychelles though offered more, the jungles behind the beaches are spectacular, the variety of beaches is greater, the granite boulders on La Digue are awe-inspiring and I love the giant tortoises. So, as the site is about exquisite coasts, and not just beaches the Seychelles won... but only just. 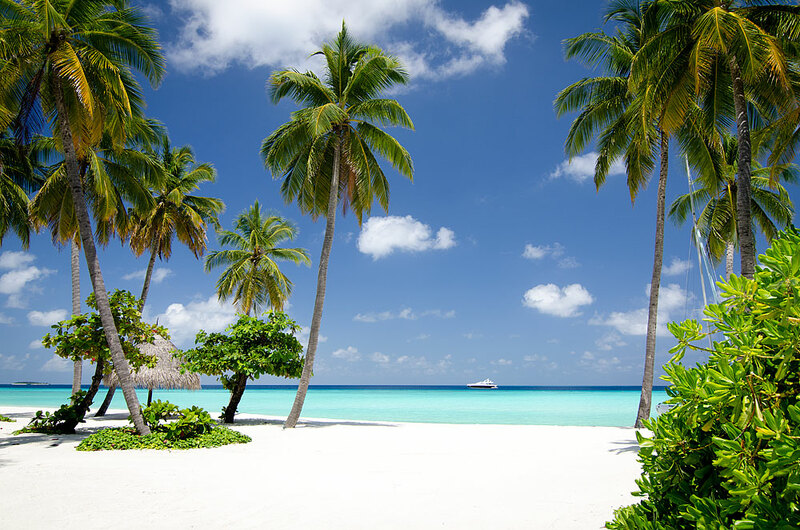 Now I've explained my reasoning let me share the best beaches in the Maldives. Beaches that I believe are amongst the best beaches in the world. A tiny island little island with beaches of the type you always dream of when wanting to escape to paradise. This island is home to the best beach in the Maldives and you'll feel like Robinson Crusoe - castaway in paradise. Only difference is that you'll be a ridiculously pampered Robinson Crusoe seeing as the only place to stay here is the dreamy Reethi Rah One & Only Hotel Resort. Another one of those get-away-from-it-all islands in the sun where nothing much happens and the beauty of the surrounding seas is almost overwhelming. Come here for romance or come here to relax and you won't be disappointed. Best of all is sitting on your balcony, above the turquoise sea at the Cocoa Island Resort (the only place to stay here), while fish of a thousand hues play beneath you and stingrays dance to the rhythms of the sea. Many rate the reefs around this island to be the best preserved in the entire Maldives. I don't know much about reefs but I do know the colors under the sea were like some sort of movie and my young son reckoned it was way brighter and more beautiful than in Finding Nemo. In fact the brightness of the colors and the gorgeous light both above and below the sea is something that will stay with me forever. The place to stay here is the Angasana Ihuru resort.